Thea has always wanted a goldfish, so she is very excited when her brother tells her about think-it ariums. Wearing a headset, a person can imagine what they want to see in the fish tank, and it appears! 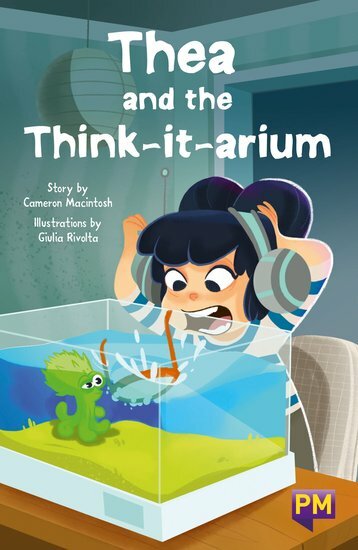 But when Thea’s imagined creatures get hungry for peanuts, the think-it-arium doesn’t seem so fun any more. Can Thea un-think the creatures before it’s too late?